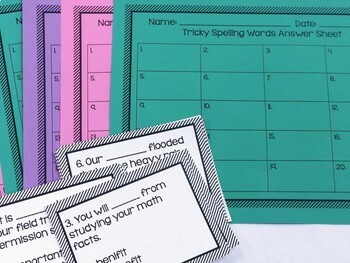 If you are always on the search for enriching activities- these task cards are perfect! 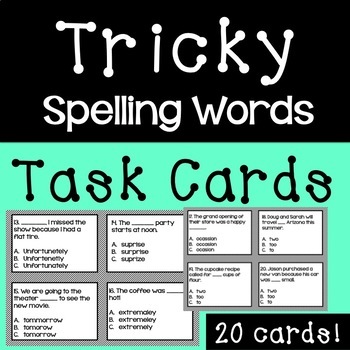 The Tricky Spelling Words Task Cards focus on 20 commonly misspelled words. 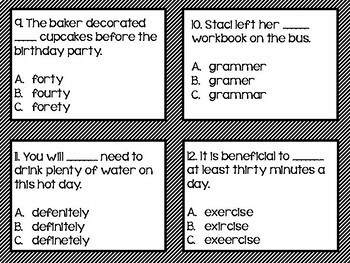 The task cards are perfect for station and center time. Thank you for your interest in this product! 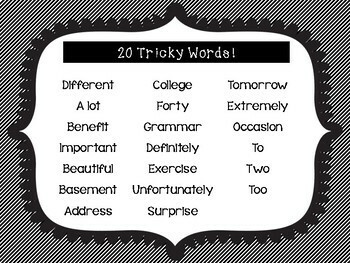 Visit Miss Iced Coffee for more engaging, creative, and fun resources!